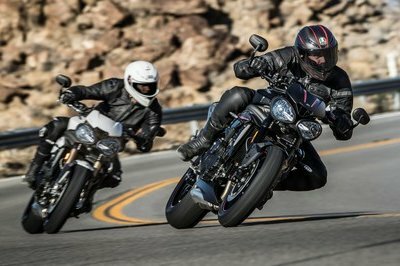 The Suzuki GSX-S750A is an impressive roadster that will reward you with first class ride and handling performances each time you jump on its saddle. 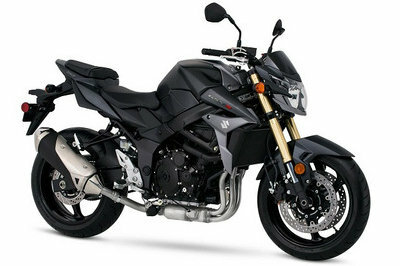 The motorcycle is powered by a 4 stroke, 4 cylinder, liquid-cooled, DOHC engine with a displacement of 749 Cm3 (45.7 Cu. In). 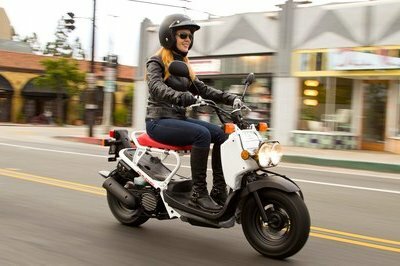 The engine’s power is transferred to the rear wheel by means of a six speed constant mesh transmission. 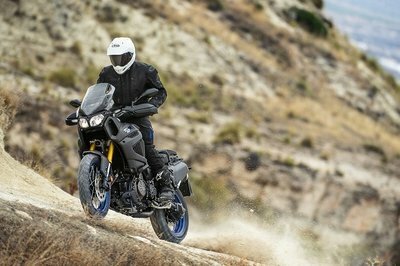 Apart from the potent engine, the Suzuki GSX-S750A has also received a set of high tech suspensions including inverted KYB front forks and a link-type rear suspension, with a single rear shock absorber. On the other hand, the bike’s speed is kept under control by dual front brakes with fully-floating 310mm discs and dual-piston calipers and a 240mm rear disc brake with single-piston caliper. 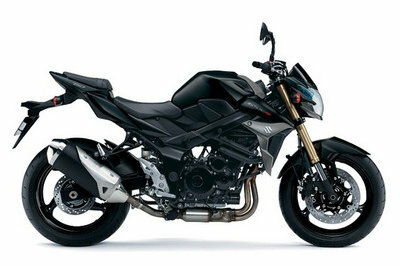 The Suzuki GSX-S750A can be yours for no less than $8,699. Experience the futuristic combination of leading technology, cutting edge style and outstanding performance. Designed with the competitive spirit of the GSX-R750, the NEW 2015 GSX-S750A has the power plant of the GSX-R750 with comfort and versatile riding in its sights. With a powerful 749cm3 four cylinder fuel-injection engine combined with 145mm of ground clearance and ABS brakes, no road will ever hold you back from full throttle excitement. Freedom calls, the open road awaits; take strong hold of your GSX-S750A. •	Frame design combines the advantages of a compact tubular girder streetbike frame and a twin-spar sportbike frame to deliver a dynamic ride. •	Carefully sculpted bodywork with highlights including a vented front fender, molded mirrors, chiseled fuel tank, textured tank side panels, and an angular tail section with integrated LED taillight. •	The light and compact Anti-Lock brake system (ABS)* system monitors the wheel speed as much as 50 times per wheel rotation and matches the stopping power to the available traction. •	Throttle bodies with Suzuki Dual Throttle Valve (SDTV) system contribute to cylinder charging efficiency and combustion efficiency for better throttle response and torque at the low to mid rpm range. •	Automatic Idle Speed Control (ISC) improves cold starting and stabilizes engine idle while also reducing cold-start emissions. •	Iridium type spark plugs provide a more condensed and hotter spark yet last longer. •	Effective engine management and emission control systems together allow the GSX-S750A to meet the latest emission standards. •	Suzuki Pulsed-secondary AIR-injection (PAIR) system injects fresh air into the exhaust ports to react with unburned hydrocarbons and reduce CO2 emissions. •	Suzuki Exhaust Tuning (SET) servo-controlled butterfly valve helps enhance torque, response and acceleration, especially at low-to-mid rpm range. •	Inverted KYB front forks feature a design developed in racing and that is mandatory on a serious, high-performance machine. •	Link-type rear suspension, with a single rear shock absorber working through a progressive linkage. Spring preload is 7-way adjustable. •	Dual front brakes with fully-floating 310mm discs and dual-piston calipers. 240mm rear disc brake with single-piston caliper. •	Antilock Brake System (ABS)*, with a compact control unit monitors wheel speed, and matches stopping power to available traction (GSX-S750A only). •	Light and open radiator side panels mated with aggressive front bodywork side pieces. •	Distinctive triangle-shaped muffler with a form-fitting brushed stainless steel heat shield. •	Brightness-controllable instrument cluster, featuring a prominent analog tachometer and a large, digital LCD speedometer readout. The LCD display also includes a gear-position indicator, coolant temperature gauge, fuel gauge, selectable odometer/dual-tripmeter/fuel consumption meter and a clock. 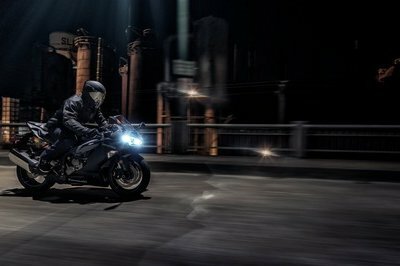 •	Bright and distinctively shaped headlight with a 60/55W halogen bulb. Integrated dual position lights with patterned blue lenses. •	A compartment underneath the removable passenger seat can carry a U-shaped lock or can be used to store small items. •	A selection of Suzuki Genuine Accessories is available for riders who want to customize their GSX-S750A and make it uniquely their own.